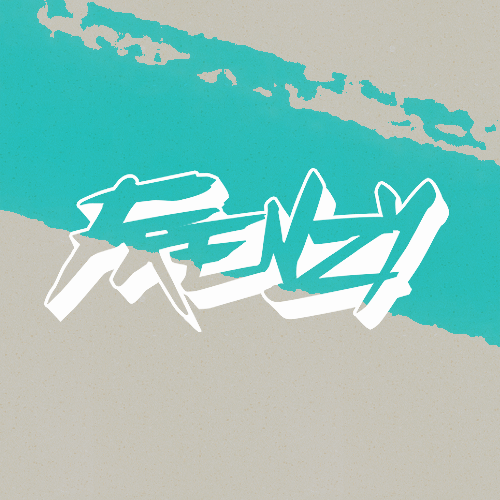 Frenzy are a Anonymous Alternative/Pop Punk band! An upbeat start and straight in to strong vocals. These are a band that you should check out with constant hard work putting in to it and showing on this track. Also showing a range of their vocals and incredible instrumental which goes with the lyrics and makes you want to listen to again and again. I think it’s safe to say that you will hear a lot more of these. Weather we will find more about the actual artists… you never know but the whole anonymous vibe they have going I like it! Check out their Single hear and Follow them on Social Media! THE WEEKEND RIOT, A POP DUO FROM Philadelphia, GET TO KNOW THEM HERE. We are a pop duo from Philadelphia, PA. It all started when we posted our first cover of Problem by Ariana Grande in May 2014 and started playing shows, doing weekly covers and recording our music. We wanted the name to represent what we are all about. The idea of letting go and just having a good time. Johnny plays ukulele and sings and Bruce plays guitar and sings. We both co-write almost all of our songs. How did the band come about/how did you guys meet? Both have a lot of musical backgrounds. We’ve done music all of our lives. At an early age we got involved whether it was picking up an instrument (Bruce) or doing musical theatre (Johnny). Our debut single is out now on iTunes and Spotify! We also just posted a lyric for the song. It’s called 25 Minutes and it will be on our self titled EP that will be out February 2015! It can come from anything. Basically, anything that we experience from day to day can turn into a song. Harry Styles basement… Or Madison Square Garden. 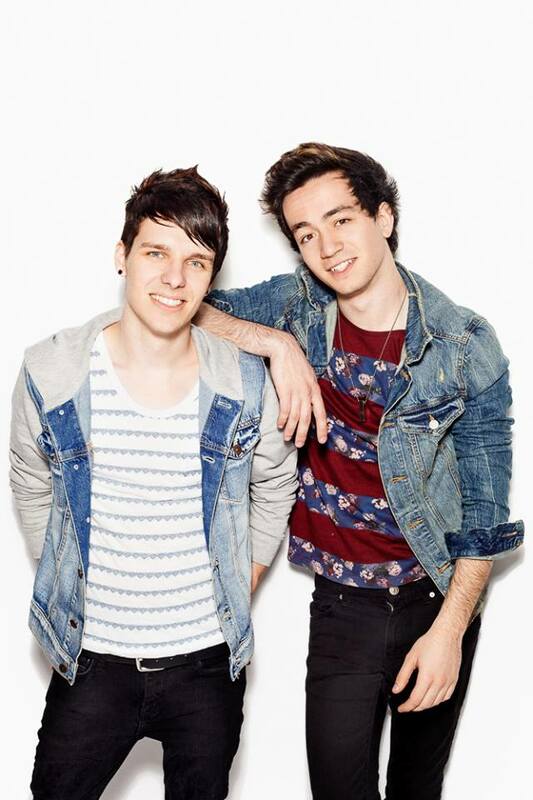 This entry was posted in Uncategorized and tagged duo, Interview, Music, Philadelphia, TheWeekendRiot. Bookmark the permalink. I’m Lily, a singer/songwriter from England. Performing is my life and music and dance are my favourite things. I’ve only been singing for just over a year so I’m just starting out and still learning, but I love going out and gigging. 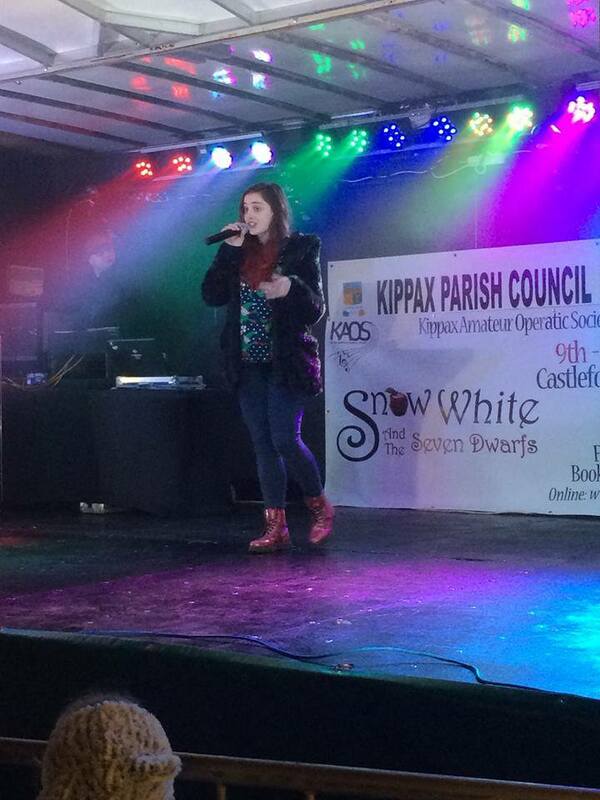 I perform at charity events, festivals and competitions all over the place and spend a lot of my time recording covers and videos that I put up on social media. In the future I’m hopefully going to record some of my own music too. I’ve danced my whole life so I’ve always been around people who perform and I sang a bit when I was dancing, but as I got older I realised that music was very much a part of my everyday life without even realising and it was really important to me. I like how music can be anything you want it to be when you’re creating it and for me, it’s an easier way to say how you’re feeling. Music is something that (as cliché as it sounds!) it’s helped me in situations, whether it be a song that really inspires me to work harder, or a song that makes me feel better. I wanted to share my love of music with everyone through singing and hopefully produce something that makes people feel, or helps them like music has helped me. I’ve been interested in performing arts for as long as I can remember. I did music at school and college, but I’ve been really focused on making music into a career for about a year now, working on recordings to put on social media and going out and gigging. I’ve always sung, but I didn’t really think anything would come of it so I never really pursued it, but when I was about 12 I realised music was something I was passionate about as well as dance, so that’s when I started getting involved in singing groups and music things in school. I was never really confident enough to sing on my own, but in the past year my confidence has grown and I’m now singing solo, which I really love! One of my all-time favourite bands is Maroon 5. The way they adapt their music to the current time but still stay true to their roots really inspires me. Their first album and most recent album are really different as they’ve changed their sound to keep current, but their music is still very much them and you can always hear their style in every song. I’d like to be an artist like that myself one day. Paloma Faith also influences me, the way she’s really unique and really knows herself as a musician is something that I look up to. She has her own style that she’s carved out and it’s very unique to her. As soon as you hear a song you can tell straight away it’s her because she has that very iconic voice and style. Song and lyric wise, Demi Lovato and another of my favourite bands, The 1975, are definitely influences. I love how they both tell stories through their lyrics, and their songs are really relatable. You can really feel the passion that’s put into their music. Particularly in Demi’s most recent albums, she makes herself vulnerable and really puts all her emotion and her experiences into music which is something I really respect as I think it’s a difficult thing to do. Her songs really mean something to me, as do songs by The 1975. As a musician this inspires me to do the same kind of thing. As of yet, I’m still working on my own music slowly but surely! I’ve been filming videos today for my most recent covers so those will be up before Christmas, then I’ll be recording and releasing new covers in the New Year. Hopefully I’ll be focusing more on my own music too in 2015. I suppose just from my own experiences really! Just from things I’ve done or things I’ve felt. I’ll be sat in bed on a night and something will come into my head that I’ve done and I’ll write down a few things, and how a felt about things. DISNEY LAND! I love that place haha. I absolutely love America though so anywhere would be good for me as long as it’s in the country! It’d be cool to do some little acoustic sets in little American diners or milkshake bars, things like that. I don’t know why this question is more difficult because I’m from the UK and this should be easy! I’m not sure though, probably in the O2 or Wembley Stadium. Or if I was being totally unrealistic I’d sing in Buckingham Palace! Definitely The 1975 just because they’re my ultimate favourite band in the world…ever. Probably Maroon 5 or Demi Lovato. Or Miley Cyrus, I’ve always been a fan of her and she’s pretty crazy so I’m sure it’d be a interesting! In the next few years I hope to have an album full of my own music. Writing is something I’ve always struggled with but I think that’s because I’ve never really completely thrown myself into it, recently I’ve been trying out different things and trying to find my own style and really just know myself as a musician, which I think I need to do before I start writing my own music. So I’m gonna keep working on that and hopefully start putting my own music out to the world! I honestly don’t know, there’s actually nothing else that I’m good at haha! I’m really into forensic programmes and I watch the crime channels all the time, so I’d probably be in the Police or something along those lines because I’ve always had an interest in that kind of thing. At the moment I’m really loving Meghan Trainor. I loooove All About That Bass and her EP is really good. The songs are so catchy! If Friends was still on TV then definitely that because it’s my ultimate favourite show. I can’t help but love Dance Moms as well, so it’d be cool if the girls on their used my music to dance to! Do you have any social media sites for your fans? This entry was posted in Uncategorized and tagged Demi Lovato, genre of music, LilyNicholson, social media, SoloArtist. Bookmark the permalink. That’s a fairly basic question which we don’t really have an answer for… I guess we kind of define ourselves as ‘pop-punk’ but quite a few of our songs stray from that quite a bit… but yeah, as a starting point, pop-punk. So, the band originally started in 2013 under a different name with a different singer and they gave the band a head start on the local scene. Needless to say, the old singer left and Steve joined as a frontman. He’d done work with the band before (as a tech) but as the rest of the band already knew he could sing they asked him to join. Jake was the first member of the band, despite being the second youngest and least talented. He’s got an unhealthy obsession with Green Day, which explains why he’s such a bad guitarist. He uses quite a few techniques common in greenday songs…like lack of rhythm, playing the wrong chord, shouting ‘woah’ and complaining about lead. Mitch is classed as ‘sociable’ in the band. Steve’s the only member of the band who’s not from Newcastle, coming from Durham instead. He went to a private school…so basically he’s posh as hell… He started singing in a choir (more poshness) and started guitar when he was about 12. He used to do an acoustic act until he got promoted to sing in the band. I’m a drummer from Newcastle who started bands with Robbie and jake 4 years ago. I have habits such as playing drums when the guys are talking and trying to calm jake down on his obsession in breaking guitar heads. Yo I’m Robbie I’m the bass player, or according to Mitch, the big guitar. I’m the oldest and least responsible, i enjoy outside n bikes n generally messing about. My favourite food is pizza. A few days later we also decided that Northern Horizon was a pretty cool name so we stuck with that. What do you all do in the band? Steve does vocals, Jake plays rhythm guitar, Robbie plays bass guitar, Mitch is lead guitar and Tom is the drum hitter. We aren’t signed, although we are looking for a label. The band started as Jake, Tom and Robbie playing together. Jake brought in his friend Iain who brought in Asa, we kicked out Asa and brought in James, we kicked Iain out and brought Robbie in on rhythm guitar. James left and Robbie took over the vocals, Robbie brought in Rhys on keyboard and Robbie brought in Mitch. Rhys and Robbie both left and then we brought in Steve on vocals. We then took our first step on the journey to become the international super hits we (almost) are. Mitch joined the band later cause the old singer dragged him along and then Steve’s acoustic act played with the band. I’m mostly influenced by FIDLAR, the wombats, cage the elephant n stuff. Well, i went to a choir school so i didn’t really get a choice…I guess my brother got me into the more rocky sides of music, like the goo goo dolls… well… it’s rock compared to choir music. I started playing trumpet in year 3. I mean…we venture to the summit of an ancient mountain and look over the mountain range at the setting sun and only when the breeze is directly south west of us can we finally get inspiration from our surroundings…. I guess headlining the o2 arena would be pretty cush…maybe somewhere bigger? Mitch; Is this from me? Mitch; NO YOU ARE NOT SAYING THIS IS ME. Mitch;Well, not really… we’re currently writing this by using one hard stone and carving it into another, so yeah…its hard in the stone age. Steve; What did they listen to in the stone age? Mitch; I don’t know…Black Veil Brides? Mitch; WE ARE NOT PUTTING THAT IN AN INTERVIEW. This entry was posted in Uncategorized and tagged Frank Turner Steve, Jake, Mitch, Mitch Connolly, Robbie Williams, Steve Alexander Waltl. Bookmark the permalink. 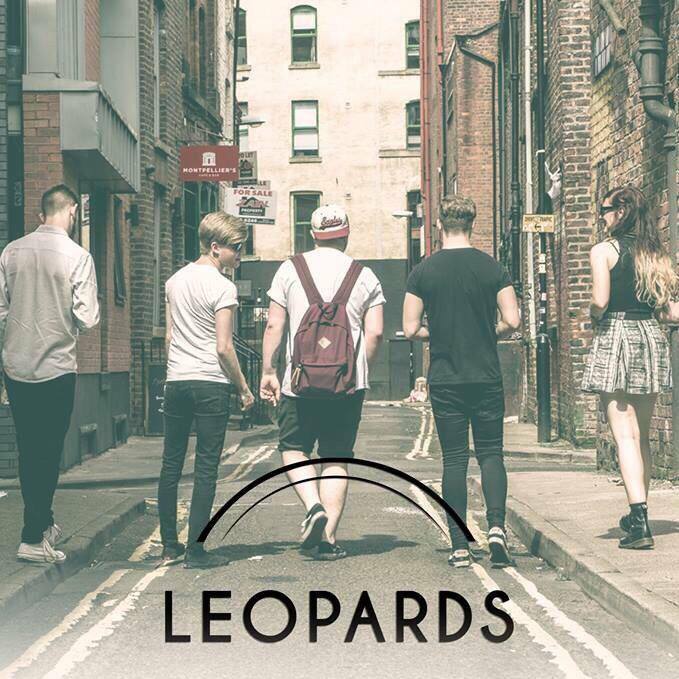 Leopards are a five piece, Girl fronted alternative band from the UK! Made up of Jenna, Ben, Rhys, Billy and Craig! Starting the EP is a track called ‘Save Yourself’ a big track and ready pulls you right in to the rest of the EP. The second tracks is a lot slower showing Jenna’s vocal ranges which then goes in to a big upbeat and seems a personals track which shows throughout the song. The third track ‘ Track Control’ another uplifting track and then going in to a slow beat making you understand the lyrics more, and I think a meaning is behind this song and a very good one to inspire their fans to take control of their lives and do what you need to do, to get where you want to be. Fourth track ‘Broken Family’, again with the beat change uplifting and slow which and great lyrics showing sadness in the voice but also you can hear that the song is from the heart and they wanted to get it out. The Fifth track ‘April’ gives you an insight of the band growing all together and you can hear this through the lyrics and I think this is a fantastic track showing they looked back at what the band has done and thought we need to make the band grown. This entry was posted in Uncategorized and tagged alternative band leopards band ep review. Bookmark the permalink. 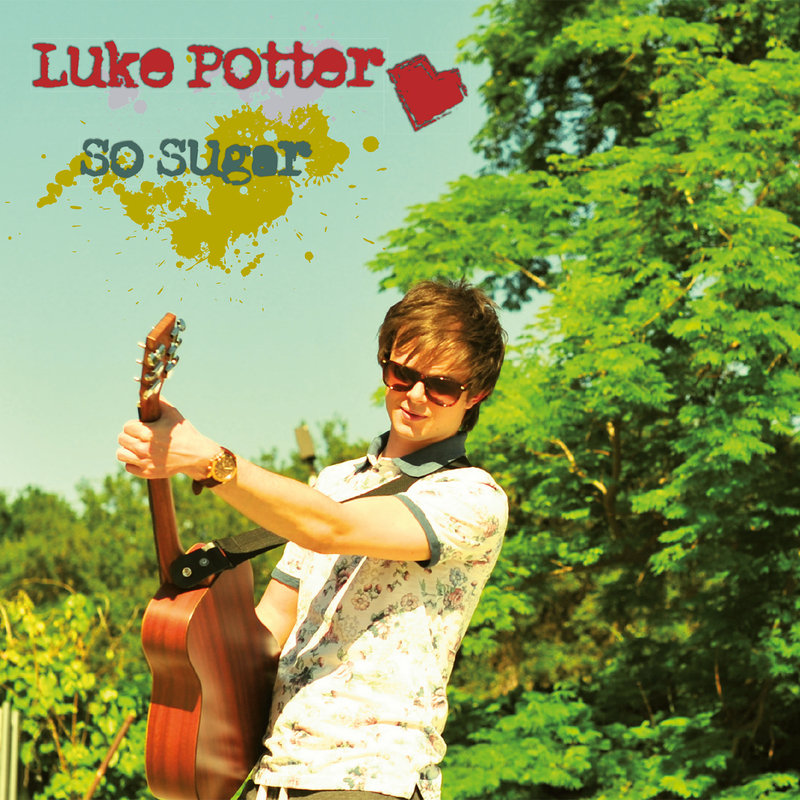 Luke Potter released BRAND NEW Album in November 2014 and now I’m reviewing it! Finally releasing his first FULL length Album Luke Potter has proved that he is an amazing singer and writer with all his awesome pop rock tracks on the album. ‘So Sugar ‘starts the record off with his amazing vocals and catchy lyrics, it’s really gets you in the mood to move and being an upbeat track as well. The whole catchy lyric’s goes throughout the whole of Luke’s album which is what people love about songs… well I do, it makes you want to listen again and again. ‘It’s Ok To Dream’ a personal track to Luke, I think it’s a very inspiring song with the lyrics coming from heart because of the lyrics ‘ Take It From Me’. ‘Chance Worth taking is a much slower song and more personal song telling a story about love which is written so good it gives you goosebumps. This is just some of the amazing tracks from Luke , this is a Album you should be getting because Luke Potter will be heard of a lot more with more amazing music and performances. So be ready to hear a lot more of him. This is an Album you would listen to with a bunch of friends either on a night out or sleepover. This entry was posted in Uncategorized and tagged FULL length Album, Luke Potter. Bookmark the permalink. London Ellis Also Known as Gabriella Ellis released her NEW EP back in October 2014 ‘London to LA’! London Ellis is a Pop/Urban Solo Artist from London but took herself to LA! 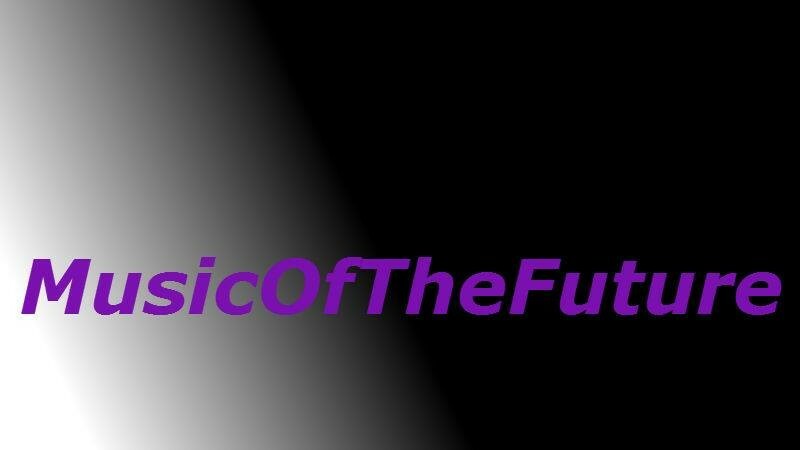 London Ellis may have been on our screens already but this is a new adventure for her and she is ready to get her music heard and perform everywhere she wants to! The EP ‘ London To LA’ starts off with the track which is named after the EP ‘London To LA’ which you can tell is a very personal track and it’s a very upbeat and catchy song. Second track ‘Physco’ is a much slower song and powerful vocals come through, also seems to be another very personal track which you understand what the meaning is behind the lyrics. Third track ‘Cloud 10’ is not a slow song but it’s not an upbeat song its very calm and shows a lot of London Ellis’s different vocal ranges which are fantastic. Fourth Track ‘Lost’ seems a deep and personal song which finishes the track, about her experiences going over to LA and pursuing her dreams and tells you it won’t stop her even if she is lost and not giving up which is a great message to young people who listen to the EP. As a Whole the EP is a very, catchy and fun EP even with the slower songs this is an EP I would listen over and over to, with London’s powerful vocals and ambition to carry on her dreams, It’s safe to say that this is an EP you should all be listening to and be sure to follow her because this is just the start for this artist. An EP to Listen when ever and forever how long, I love it! This entry was posted in Uncategorized and tagged Ep, LA, London, London Ellis, London To LA, New Music, Solo Artist. Bookmark the permalink. I’m a Pop Artist and Songwriter based in Oxford in the UK. I’m YouTuber and YouNower. I love tea. I love pugs. I love Zac Efron. I think that sums it up. As a kid I was always quite shy. I would always write lyrics but I never really showed them to anyone. I guess I was sick of being so quiet. So I raised my voice and started to share my songs and ideas. I was pretty shocked that I had such a huge response from people. My new single ‘New Year’s Eve Kiss’ will be available on iTunes on Dec 1st. I can’t wait to share it! Long car journeys on tour give me the perfect quiet time to sit, space out and write new material. My songs all stem from personal experiences – some good, some bad. Superbowl Halftime Show. Hands down. Although, who can ever really top Destiny’s Child’s performance? I’d love to do an acoustic tour with Ed Sheeran. His lyrics are so on point! And he seems like a fun guy. There’s an upcoming artist called Betty Who who I’ve started listening to over the past year. I caught her live show at London’s Hoxton Bar recently. She’s such an uplifting performer! A Betty Who/Emma McGann Tour would be so sweet! I’ll continue releasing music and inspiring others. It’s a buzz like no other. I’d more than likely do something in the creative field. I love graphic design! I’m head over heels for Tove Lo right now. Her record ‘Queen of the Clouds’ is where it’s at. I recommend checking out her tracks ‘Not On Drugs’ and ‘Stay High’. Do you have any social media accounts for fans? This entry was posted in Uncategorized and tagged EmmaMcgann soloartist Alanis Morissette, genre of music, Katy Perry, Zac Efron. Bookmark the permalink.